Tofino, BC | A British Columbian commercial fisherman claims he was held captive for 24 hours by a herd of seals after washing up on a small inhabited island during a violent storm off the coast of Vancouver Island. The man that was violently thrown off the commercial fishing boat during a heavy storm was lost at sea and believed to be dead by Canadian Coast Guard officials. 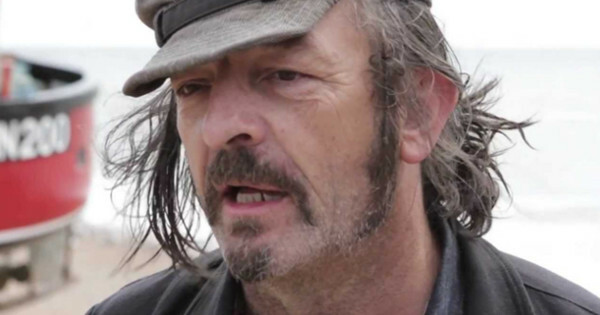 Pete McAllister eventually found his way onto a rock island populated by seagulls and dozens of seals. “I was burnt out, freezing cold and dehydrated. I saw the seals showing signs of aggression, so I played dead,” the fisherman recalls. He then describes how dozens of seals tried to mate with him, apparently mistaking him for a female seal. “I felt their heavy weight on my back as I was pretending to be dead. I can still hear those awful grunts and remember the pounding, I was sure I was going to die” he recalls, visibly grateful to be alive. “My girlfriend keeps saying I was gang banged by a bunch of seals. I ain’t no Christian but that is my definition of Hell” he told reporters laughingly, amidst the tragic events. Hellen Feller, a biologist at the University of Victoria, believes McAllister was saved from hypothermia and kept his body temperature warm because of the mating habits of the seals. 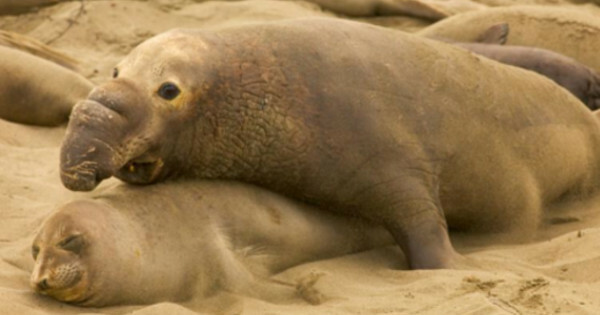 According to biologist Hellen Feller, McAllister’s survival might be linked to the elephant seal’s mating habits. “May to August is the elephant seal’s breeding season and males are extremely sexually active and can become highly aggressive during this period” explains Hellen Feller, a biologist at the University of Victoria. “It may sound weird to say, but if the seals hadn’t tried to mate with him, he would’ve probably died of hypothermia,” she explained. “So in a way, it is a good thing he was there during their breeding period,” she added, slightly amused. Luckily enough, Pete McAllister was eventually rescued by a Canadian Coast Guard Search and Rescue patrol approximately 24 hours later. He was found unharmed and is not likely to suffer from any permanent frostbite injury believe doctors. 8 Comments on "Canadian fisherman survives sexual assault by dozens of seals"
Is your boat ok or did you blow a seal? Didn’t they just legalize marijuana in Canada recently? Good thing! Any offspring he might have will both be considered US citizens and also eligible for welfare as well! Personally I have never had a Canadian during spawning period, but I’ve definitely heard about their fraus ‘winterizing’ diet!